Decorating on special holidays can be expensive, which is why we have come up with some fun and low-budget DIY crafts for you and your family to do this Valentine’s Day! Spending time with your loved one(s) is essential. 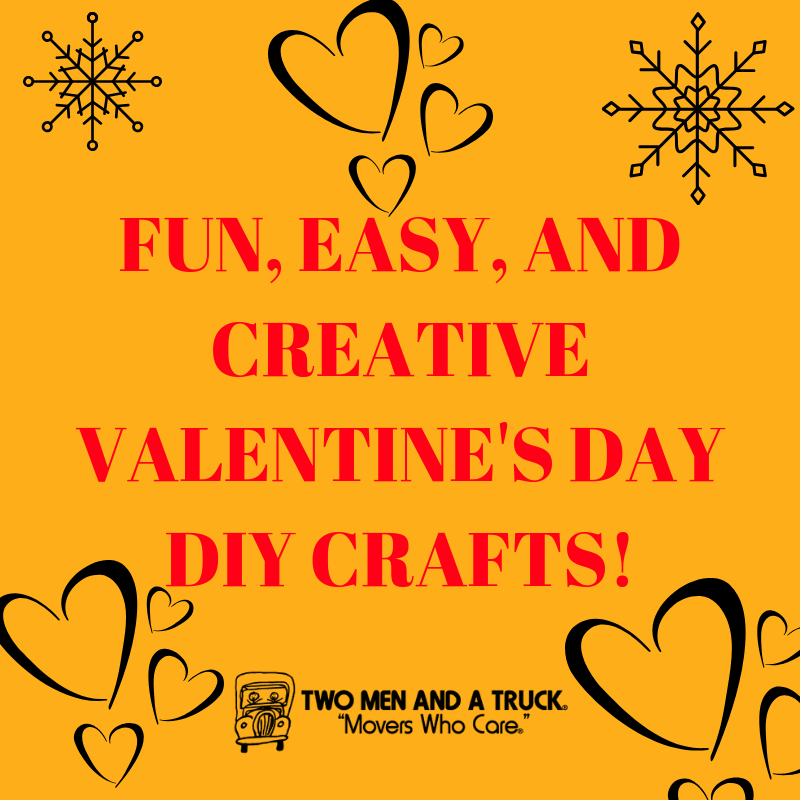 There is no better way to spread love and enjoy some quality time than to do it through creating some fun DIY crafts in the comfort of your own home with one TWO MEN AND A TRUCK ® moving box and some construction paper! Letter-board toppers add a creative and fun element to Valentine’s Day. 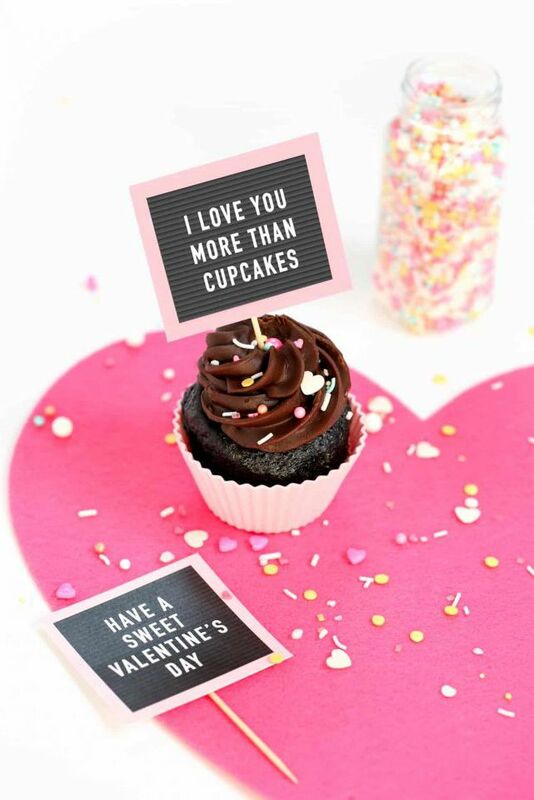 Not only can you get a delicious treat out of it, but you can add some sugary sweet writings on your toppers by using a few simple supplies! Step 1: Using scissors cut out 4×4 square-sized pieces from your cardboard box. Cut out as many as you need for your cupcakes. Step 2: Using paint or coloured construction paper of your choice, cover the shape for decoration. Step 4: Using your toothpick, glue the tip to your square shaped letter-board, and insert it into your tasty treat. 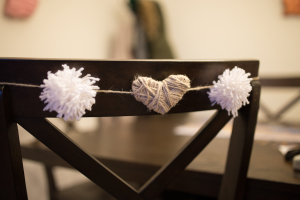 Step 2: To get that heart garland affect, wrap jute or yarn around your heart and secure it in place by using a hot glue gun. Step 3: Thread the twine through your hearts and your garland is ready to be placed wherever you please! 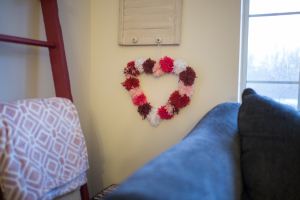 Tip: If you want to make your garland more decorative, you can create pom-poms in between your hearts. To begin, wrap the yarn 30-35 times around your palm. Then use a separate piece of yarn to tie the wrapped yarn in the center. This will create two loops on either end. Once you have done this, use scissors to cut both ends of the loop, creating a pom-pom effect. You can stick the pom-poms on by gluing them to the twine after you thread your hearts. Step 1: Using scissors cut out a heart shaped wreath out of the cardboard box. Step 2: Once step one is complete, by using the pom-pom tip above, create multi-colored pom-pom’s until the heart shaped cardboard isn’t visible anymore. Step 3: Using the hot glue gun, secure your pom-poms. Step 4: In order to hang your wreath, you can use yarn to create a hook at the top in order to hang it. What better way to say ‘I love you’ than making these creative and fun table runners? Step 1: Begin by cutting out heart shapes from your coloured construction paper. Step 2: Decorate your hearts as you desire. If you want to be more creative, you can use rhinestones on your hearts. Step 3: Then start gluing your hearts onto your table cloth. Ensure that you don’t glue any hearts on either ends of the cloth. This will make it easier to store away your table runner. 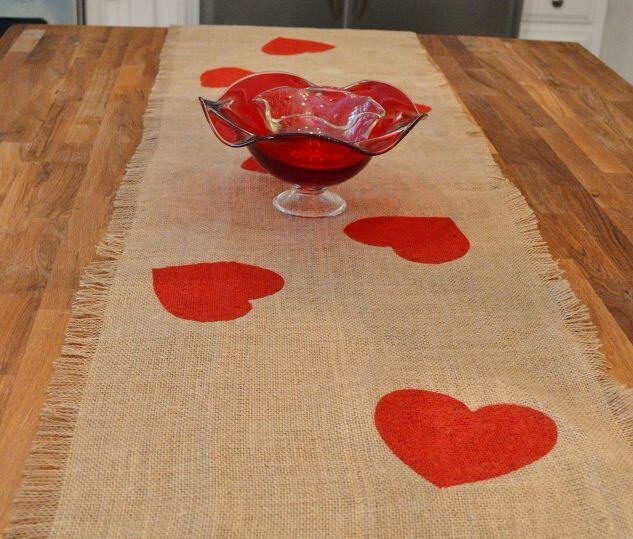 Step 4: Once all of the steps are complete, place your table runner on your table for a beautiful and decorative piece on Valentine’s Day! We hope you enjoyed this fun, easy, and creative DIY’s for Valentine’s Day. From us to you, Happy Valentine’s Day!